Here are some of my highlights from the trip and more will be on Beach Bites, June 14th on Cooking Channel at 10 pm eastern time. I’ll be doing my Instagram story LIVE, if you want to watch along with me and ask me any questions about the episode. I had some of the best BBQ I have ever eaten at a little shack called Gone Fish’n. 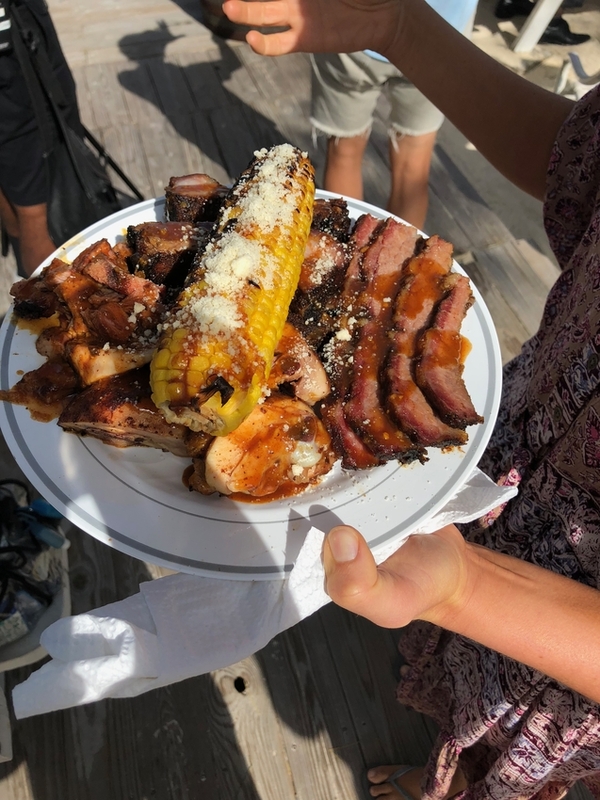 Sun shining, my feet in the sand, and a big plate of ribs, chicken, and brisket, covered in a tropical BBQ sauce – honestly, it doesn’t get much better. 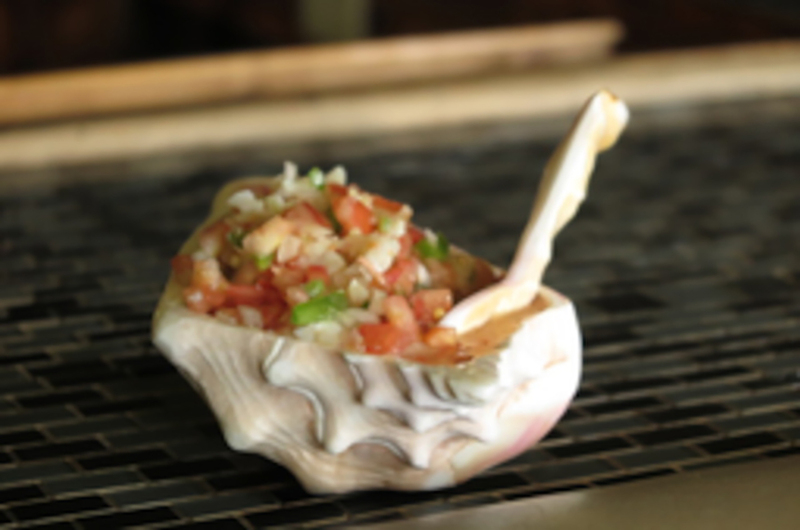 A trip to the Bahamas would be incomplete without an order of conch. I went to Goldie’s Conch House, the OG of Arawak Cay, for conch salad. It was incredibly fresh (still alive when I ordered it, actually) and so flavorful. Hanging with the chef at The Poop Deck (funny name, I know, but it’s a nautical term) after she grilled up a local hogfish lunch for me and the crew. She taught me a technique that I’ve tried at home and really like – finely mince a hot pepper and mix it into coarse sea salt, then use it as a rub on a whole fish before grilling. We stayed at the new Baha Mar resort while filming and I loved it. Super fun and lively, with a great pool and beach. Check it out here. I just want to say a big “thank you” to all of you for watching last week’s premiere episode. It is because of all of your love and support that I get to do what I do. I hope you enjoy the show! !